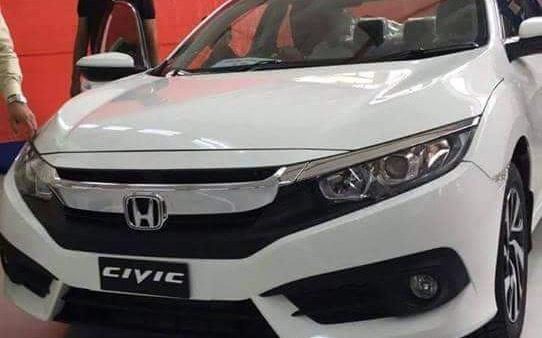 Honda Atlas is gearing up to launch the 10th generation Civic during the month of Ramazan & dealerships have started to take the bookings as well. 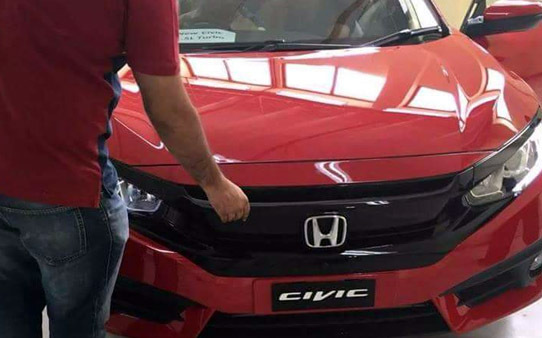 Last week a camouflaged test mule was spotted on the roads of Lahore and now leaked pictures have gone viral over the internet showing the Pakistan assembled Civic X in a non-public event. 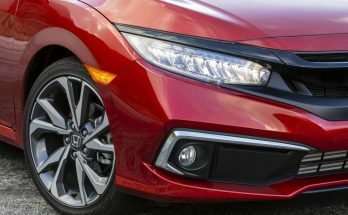 The 2016 Civic will be available in two engine options as speculated. 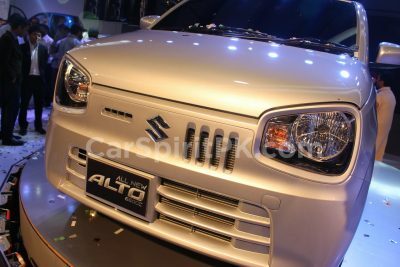 The 1.8 liter will continued to be on offer in addition to the much awaited 1.5 liter Turbo. The 10th generation Civic includes plenty of features which were not available on the existing 9th gen Civic including Cruise Control (standard), Vehicle Stability Assist, Electric Parking Brakes, Auto door-lock by speed, Rear vents/ hater ducts & Push start/ Smart entry etc. 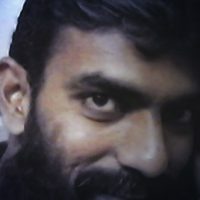 According to the initial information which is still unofficial off course, is that there are no LED headlamps as seen on the international models, no lane-watch camera, and there will be no Honda Sensing active safety System. The instrument cluster is also not the one seen on the international models, as well as no Apple Car Play/Android Auto compatible head unit as we have seen on overseas models. There will be no side and curtain airbags either but both the variants (1.5L & 1.8L) will come with a driver & front passenger airbags. As expected there are a lot of equipment which are missing compared to the international markets. 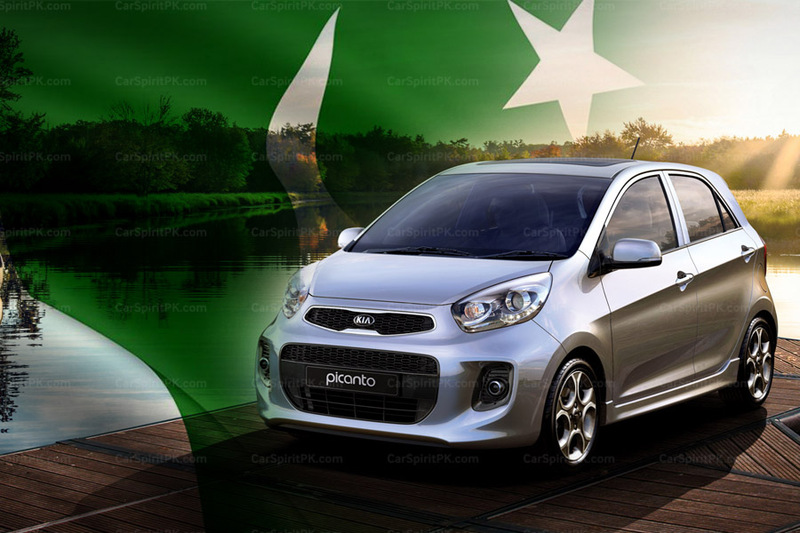 However as per the unofficial news the 1.8 liter Oriel will be priced around PKR 26.0 lac while the 1.5 liter Turbo like everywhere else will be even more expensive at around PKR 28.0 lac. 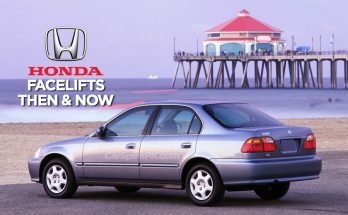 Although there is a hype created for the new Civic and people were anxiously waiting for its arrival but with a price tag this high, and having features missing compared to the foreign markets, it won’t be too easy for Atlas Honda to sell this car in handsome numbers. The prices are yet to be officially announced but so far the base Civic X will be more expensive than the top-of-the-line Toyota Corolla Altis Grande. Honda dealerships are taking the bookings of the new Civic X with a partial payment of PKR 10 lac, so anyone willing to book the car should pay a visit to nearest Honda dealerships. 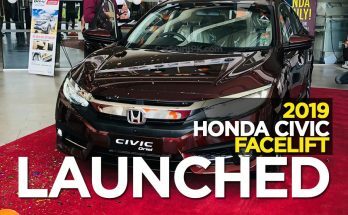 Official launch ceremony is yet to be held and further news will be updated here whenever available but it’s quite certain that the all-new Civic X will hit our roads prior to this Eid. Stay tuned for more info..